The author, concerned that his parents were slowly but surely losing ground in their understanding of the present and future, introduces them to the Internet. You too can be a part of the information age. This guide removes the fear and substitutes a workable bridge for people of all ages to meet the future today. 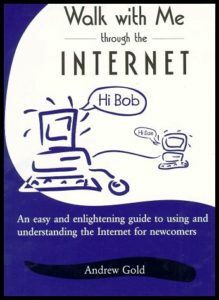 This easy and enlightening guide will show you what the Internet is, how you can get connected to it, and how you can use the Internet to make your life easier and more fun.